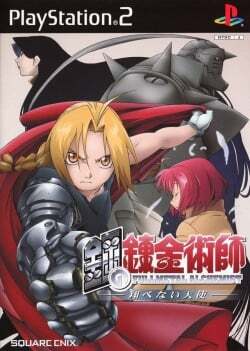 Game description: Based on Cartoon Network's anime series of the same name, Fullmetal Alchemist and the Broken Angel brings a unique combination of action and alchemy to the PS2. The story takes place in a lost chapter from the series during the Elric brothers' journey to Central City. Together, they'll search for a sacred stone that can transform them back to their original state. Now you can join the brothers as they battle across different areas featured in the show. The game's battle system lets you equip your subcharacter with new items and call him or her for help in battle. Fullmetal Alchemist and the Broken Angel is the sequel to the story of Fullmetal Alchemist 2: Curse of the Crimson Elixir and the prequel to the story of Fullmetal Alchemist 3: Kami o Tsugu Shoujo. This page was last edited on 16 April 2019, at 08:10.